At some point in our lives, we all wonder what is hidden beneath the ocean’s depths. This same curiosity for the sunken world has inspired the minds of many throughout history. Fantasy become myth, folklore, and timeless literature. Such is how the mythical figure of the mermaid came to life and never really stopped intriguing us. 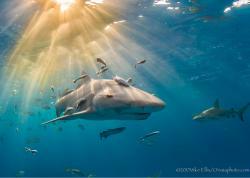 Photography takes an ocean tale and pushes it a step forward, transforming it into a reality. 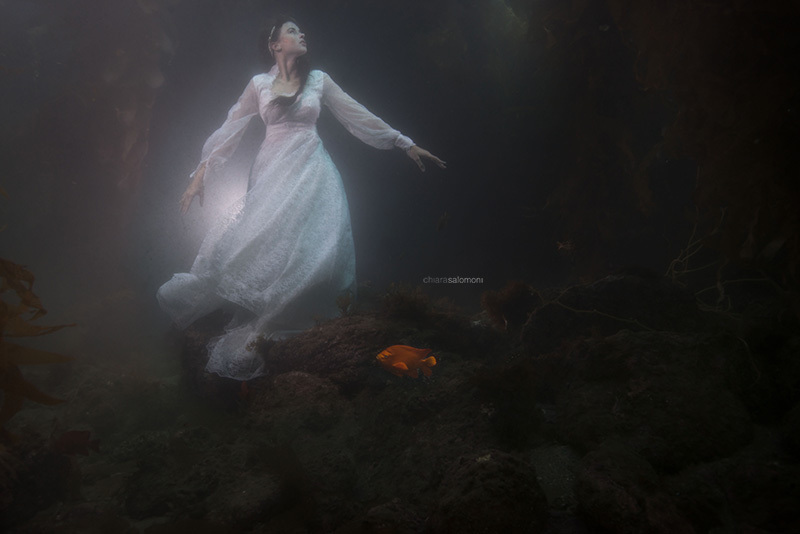 At some point, as photography took its place among the arts, someone decided to experiment underwater, making a new medium available to our craft. 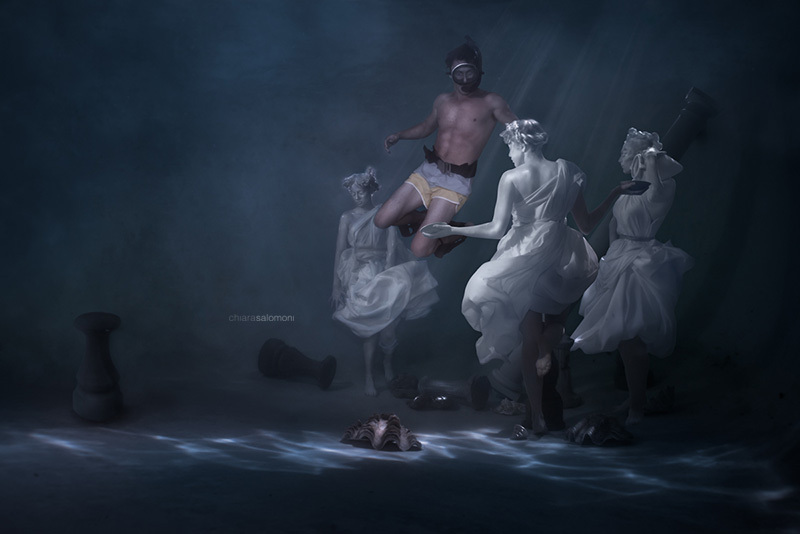 Water is where fashion takes a new shape and gives us the chance to bring history’s wildest dreams to life. Not only have we reinvented the figure of the mermaid, but we have given her a new meaning. 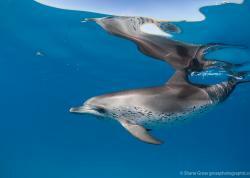 An advocate for ocean conservation is born from this myth, inspiring change throughout the world. In an environment free from gravity’s rules, we can create concepts and share our vision with the world. With underwater photography we can make our own art – reaching the minds of those who don’t speak our language and inspiring compassion in those who won’t listen to simple words. Coral bleaching, pollution, and captivity become important concepts made visual through photography. Photoshoot after photoshoot, my transition from photography to conservation photography happened almost on its own. Shoots went from being just fashion related to carrying conservation concepts. It soon became my focus. 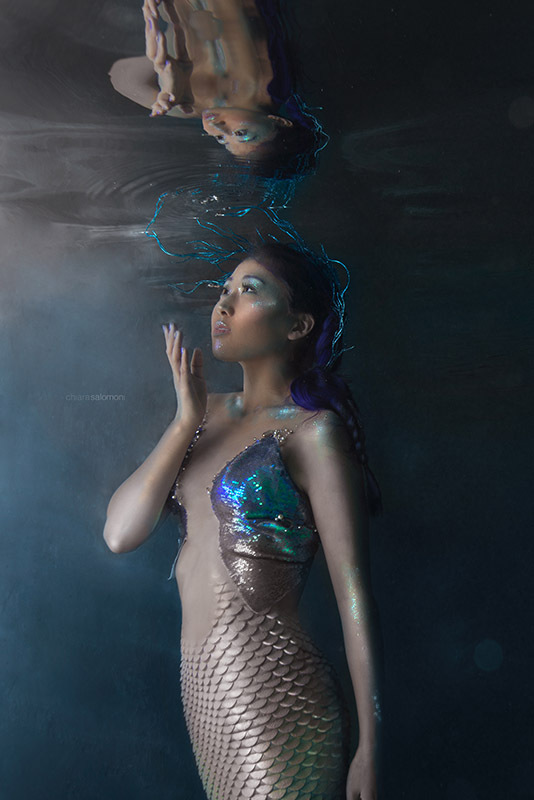 Now I travel to make underwater and mermaid photoshoots available to everybody. This brings ocean awareness around the world. My traveling has also created the opportunity for me to go to schools and teach children about ocean conservation. 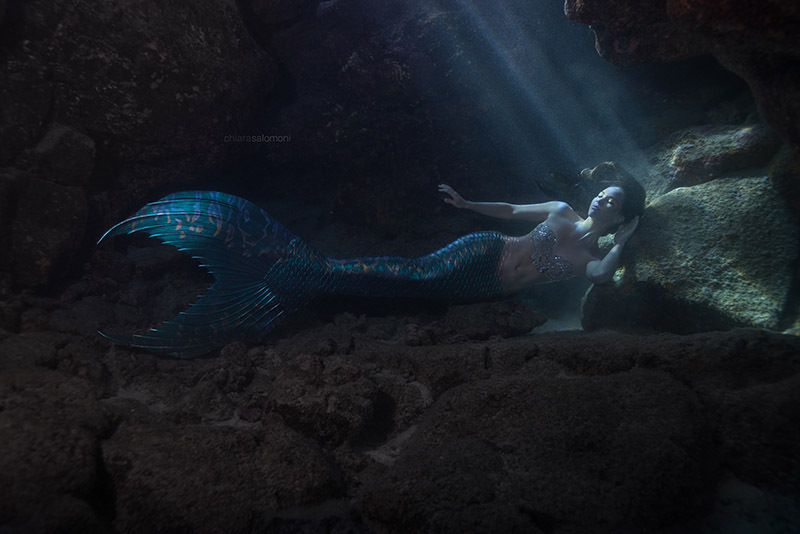 Techniques in underwater photography often go hand in hand with those you would use in the studio. The major difference is the addition of dedicated camera housings and waterproof strobes powerful enough to work through a dense medium like water. I find most housings are great for pool shoots, as long as they can be synced to a strobe and vacuum sealed. I prefer to work with underwater housings that allow you to work in deep water as well, like Nauticam, Aquatica and Easydive. Personally, the ocean is where I have the most fun during my photoshoots. All photographs in this article were shot with a Nikon D800, Nikkor 24mm f/1.4 lens, and Sea & Sea YS-250 PRO strobes. Lighting a subject is the biggest challenge in fashion shoots. Adapting powerful strobes from shooting underwater wildlife to portraits of people can be difficult - how well you light a scene can set you apart from other photographers. In the pool I often light my subjects with remote strobes using an optical slave flash trigger built into my Sea & Sea YS-250 strobes. When using stationary lighting, a photographer will have to learn how to move in the water to capture the best light as the subject moves. In the pool it is best to work with your model at the shallow end without a scuba tank. Constantly reposition the model, keeping your lights on tripods. If you are using strobes with a slave function, make sure all the lights are in visual range of one another. They trigger via light waves so if they are obstructed, they won’t fire. In the ocean, the best results are achieved once the whole team is on scuba and the model is weighed down in one spot. In the pool, underwater photography comes together easier than in the ocean, where conditions are usually completely out of one’s control. The advantage of working in the pool is the ability to control almost everything (water temperature, visibility, etc.) under a small budget. In the ocean and even freshwater environments, backgrounds are more beautiful, and there is always the potential to be visited by curious wildlife. However, adding props becomes costlier, and building a set takes more time and effort in an environment that changes conditions extremely quickly. In the ocean, safety divers are often used to make sure your concept will be executed smoothly and safely. Underwater photography has allowed me to follow my dreams of a life spent in the water, connecting me with incredible and caring people working in conservation around the world. As technology becomes more advanced, limits fade away, leaving us with the privilege to experiment and create our own path in the history of photography. 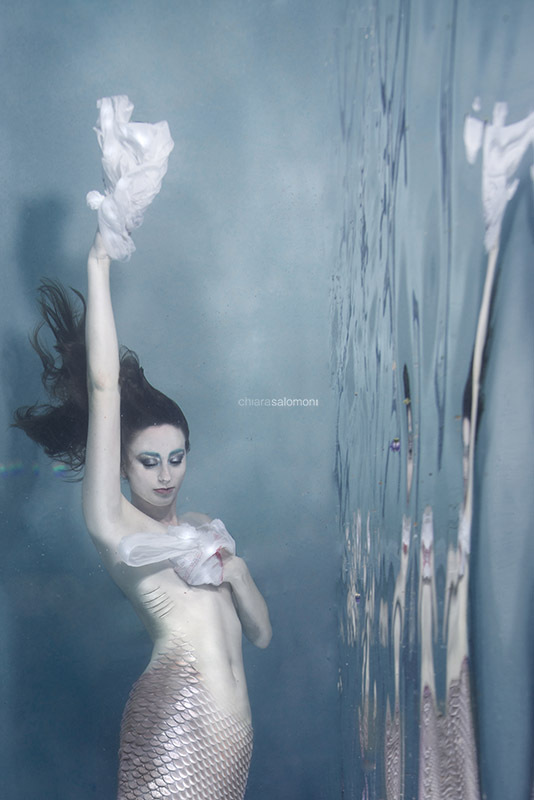 Chiara is a photographer specialized in underwater wildlife and fashion. She grew up in Italy, experiencing the beauty of the sea since a really young age. In 2010, Chiara graduated from the Brera Academy of fine Arts in Milan and then moved to California to study photography at Brooks institute, Santa Barbara. CoFounder of Project Mermaids, a project with profits donated to SaveOurBeach.org, she is now working with Keiko Conservation leading its Italian chapter. 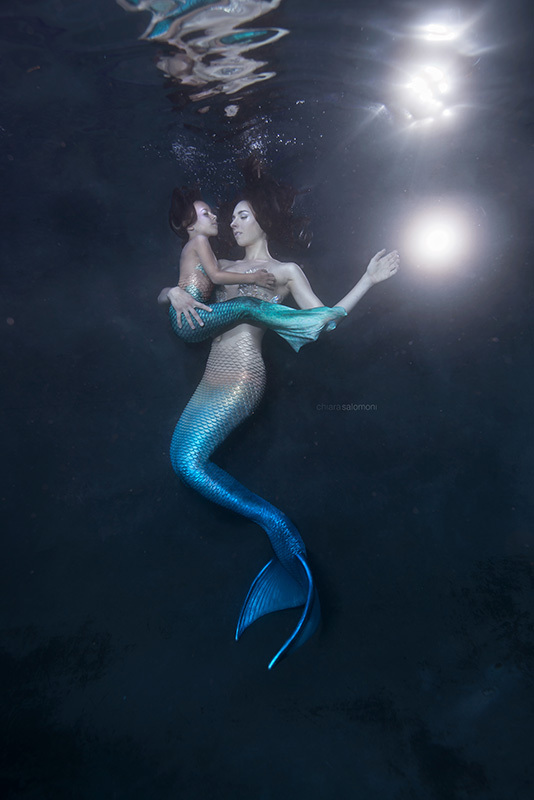 Most recently she co-created Mermaids for Change, an organization built around education, ocean conservation, and photography.